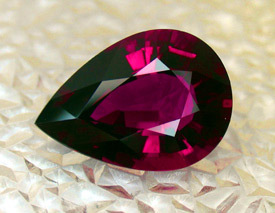 Note that the find of Mozambique Tourmaline in these colors has not been producing since about 2008 - gemstones are offered sporadically due to old inventory hitting the market or a few pieces of rough are found. 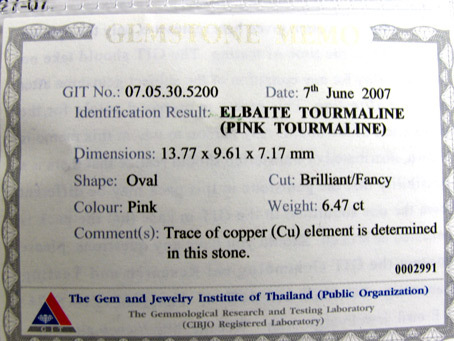 This relatively new find in Mozambique (2005-2007 approximately) is taking the trade and public by storm. 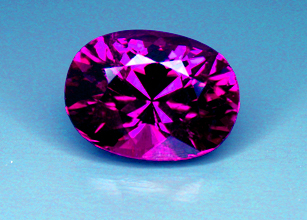 The colors are bright and some have never been seen before. 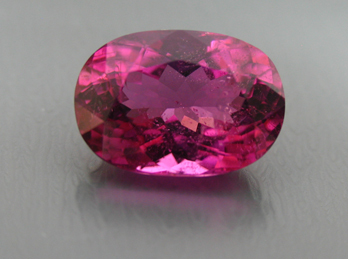 Some of the material contains copper and is therefore, Cuprian Tourmaline. 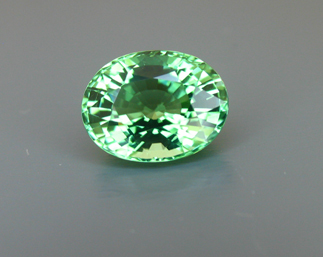 Many feel that it can therefore be called Paraiba-Like. 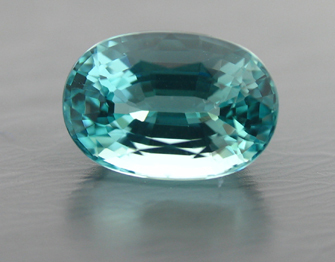 Depending on the color, many will just call it Paraiba. 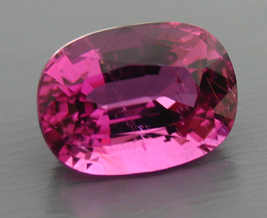 Because this material can be very unique in color and may consist of very fine examples of color in Tourmaline, we have utilized the trade reference book called The Guide in helping to price some of this material. 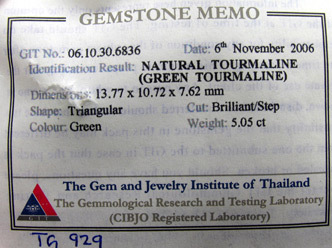 We have marked the prices close to the wholesale prices for the colors and sizes noted in The Guide (2010). 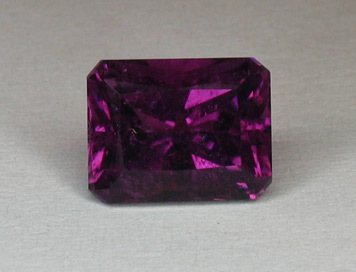 Many of the larger finer pieces are very far below pricing seen in The Guide. 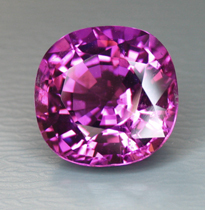 Some do not fall into the categories due to incredible colors and are therefore, exclusive. 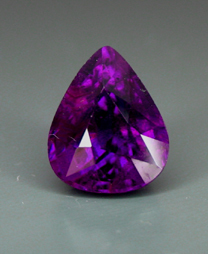 As one well-known appraiser (with a GIA Graduate Gemologist Degree also) in Massachusetts said specifically about some of the gems below - this material is so unique that one can ask whatever one wants and they would not be out of line. 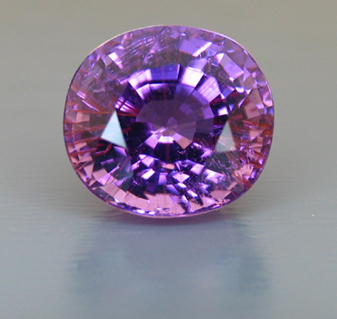 We only hope that in the future, when this material has sold out, we can find similar material. 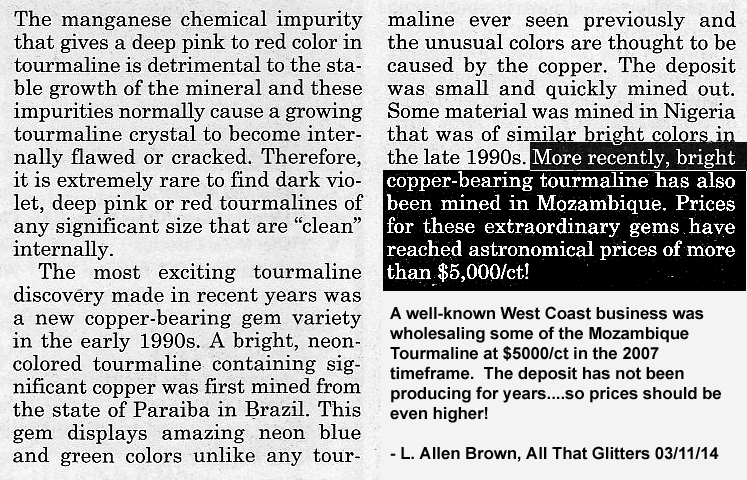 In over 30 years in the business and comments from others in the trade, finding fine gems of the same color, at the same price, etc. 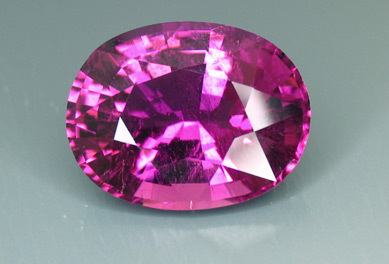 might be impossible. 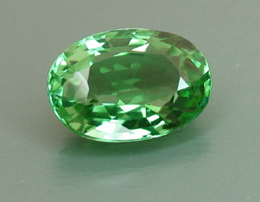 Gemstone finds/discoveries come and go - one such famous story is the original Paraiba material. 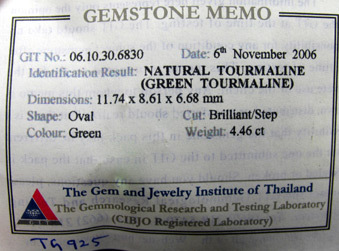 (Note - The Guide literally has a category called "Paraiba-Like Tourmaline". 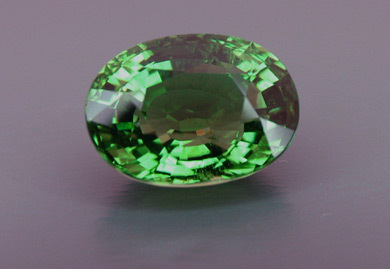 There are two sub-categories under this Cuprian Elbaite Tourmaline heading - Nigerian Cuprian Tourmaline and Mozambique Cuprian Tourmaline. 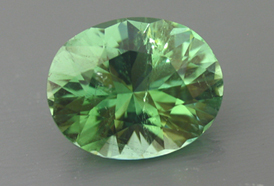 Both have the following text associated with the entry - "May also be referred to as 'Paraiba', 'Paraiba-like' by some members of the trade." 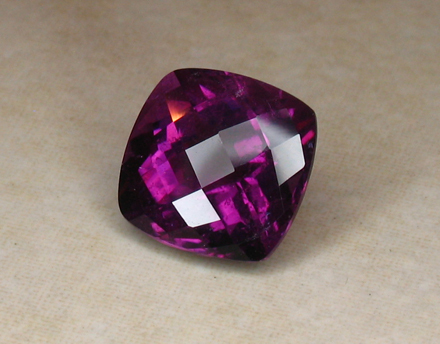 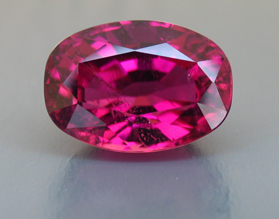 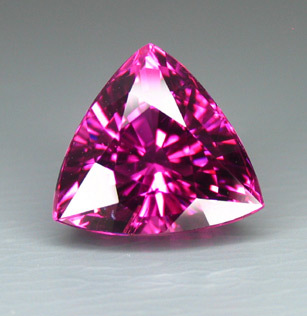 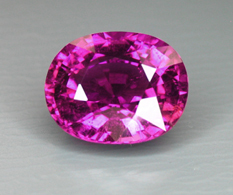 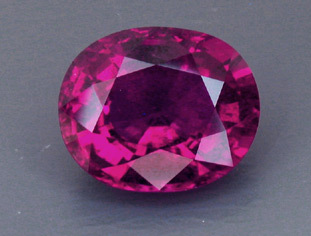 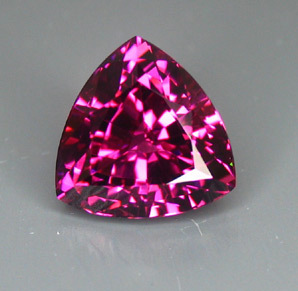 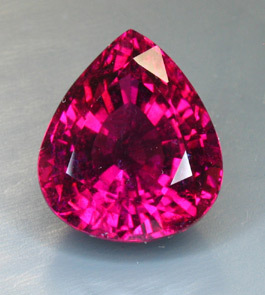 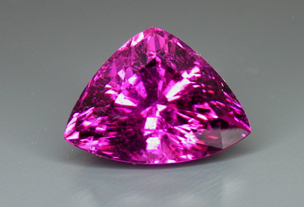 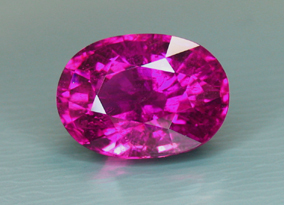 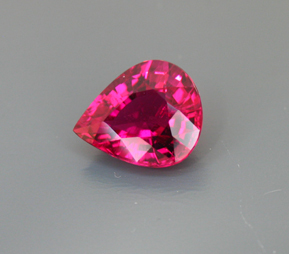 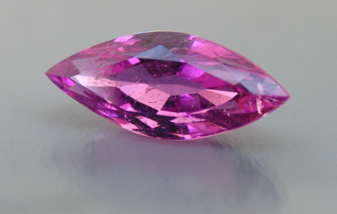 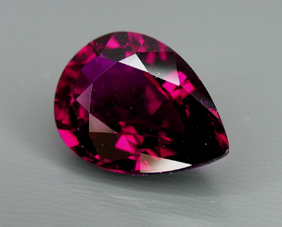 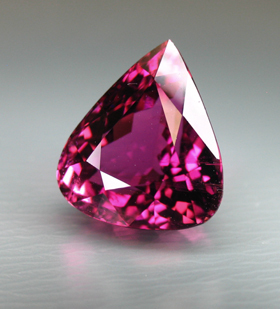 Unlike most Red (Rubellite) and Pink Tourmaline, this material does not brown out under incandescent lights. 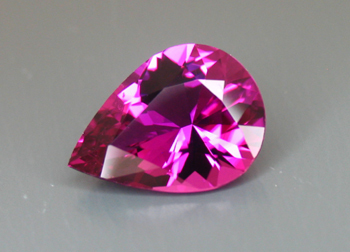 With few exceptions, these intense pinks, magentas, purples and reds will be the same color under sunlight, fluorescent or incandescent lights. 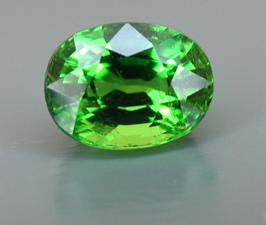 This characteric of these gemstones makes them even more highly prized. 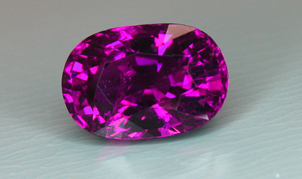 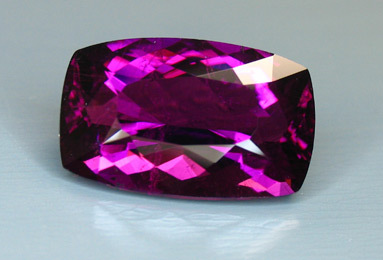 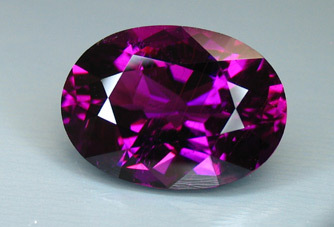 NOTE - This find of Mozambique Tourmaline, especially the fancy colors (neon blues, neon greens, fuchsia, magenta, purples and purple variations), would be classified as a Type III Gemstone by GIA. 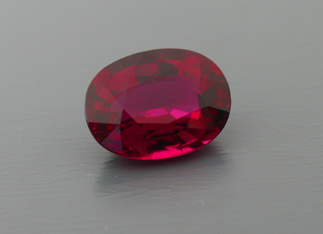 This means that inclusions are usually present, just as in Emerald, Red Beryl, Red Tourmaline, Diaspore, etc. 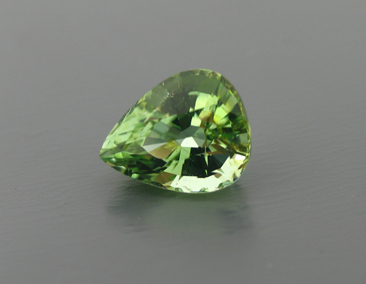 We have chosen fine gemstones and most do not have eye visible inclusions, but essentially all have inclusions when louped. 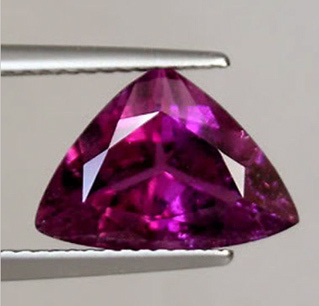 This is not necessarily a negative, but will help determine that it is natural and in the future, also possibily determine the country of origin (which can be a major factor in price or to a collector/investor). 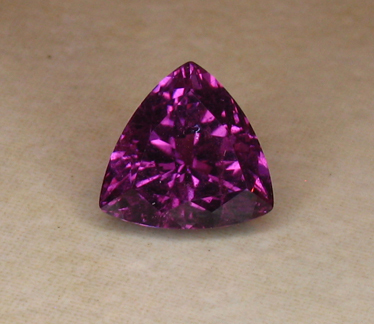 We have viewed a $40,000 Mozambique Tourmaline (Feb 2008) and it was eye clean, but when viewed with a 5X loupe, there were inclusions. 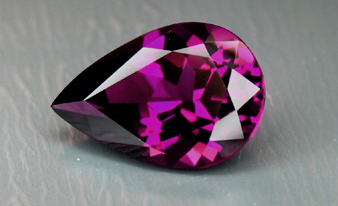 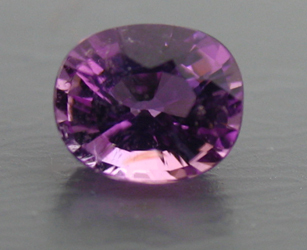 Many Purples have been tested by others and were determined to contain Copper - therefore, they are Cuprian Tourmaline! 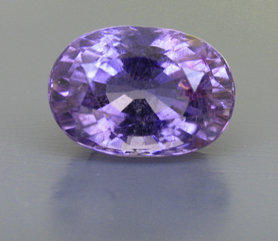 For gemstones below without prices, please email with the description and stocknumber. 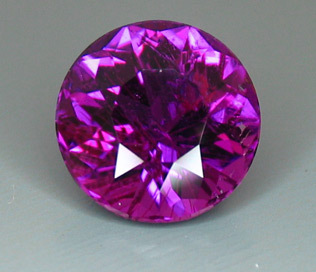 We will be happy to quote you a price! 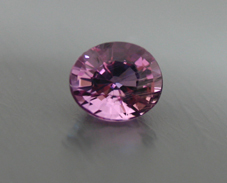 Some dealers are wholesaling similar material at about 5 times our asking price. 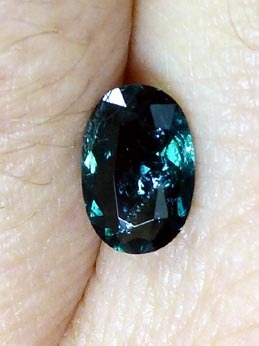 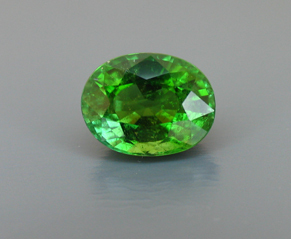 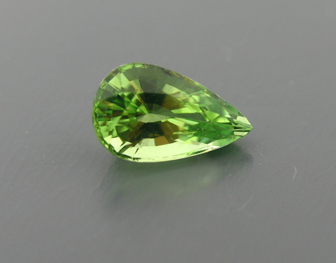 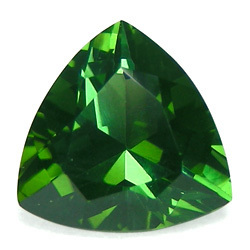 4.46ct Mozambique Tourmaline, Oval, bright neon green depending on the lights (yahya-06a-02) This is similar in color to the trilliant you see below. 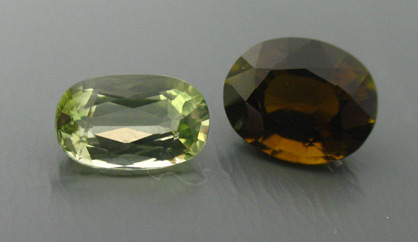 Three similar gemstones were purchased at the same time. 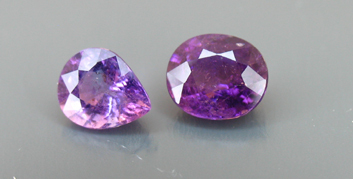 The color was very bright and said "Buy Me" , so we had to purchase all three. 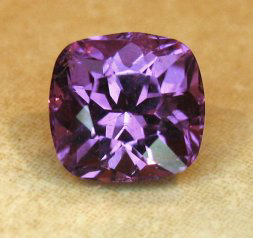 They consisted of a trilliant and two ovals. 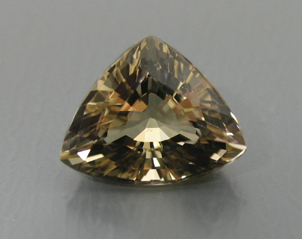 The other oval was recut by our Award Winning Master Cutter, Stephen Kotlowski, and has been sold. 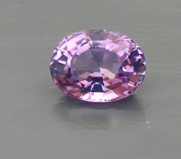 The gemstones below are Tourmaline from Mozambique and have the much sought after rare Purple, Purplish Pink, Pinkish Purple, Fuchsia and Fuchsia Purple colors as well as variations in between. 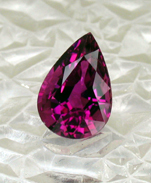 This material is quite often heavily included. 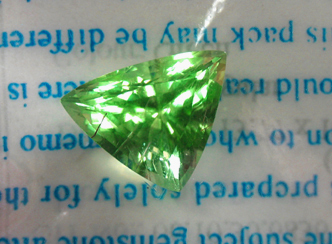 We have choosen most pieces to be eye clean or mostly eye clean. 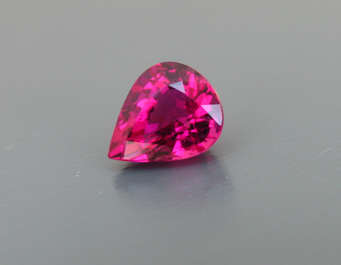 The color is very desirable and among dealers, we have been discussing the fact that in the future, collectors and investors will be seeking this color out. 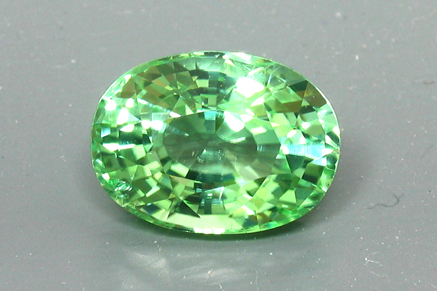 Many of the Mozambique Tourmalines contain Copper. 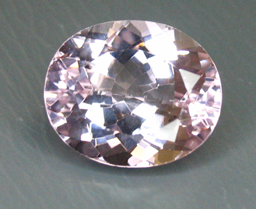 We have seen pinks and purples certed as containing Copper. 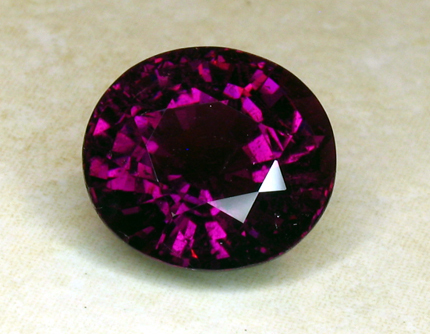 One of our associated tested his Mozambique Tourmaline that were variations in Purple, and all tested as Cuprian (Copper containing) Tourmaline. 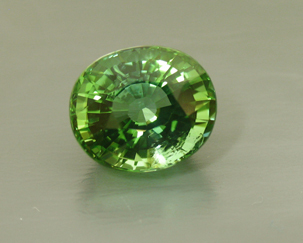 Gemstones that look similar in color can test out as Tourmaline, Tourmaline with Copper as well as Tourmaline with Copper and Manganese. 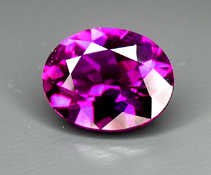 We feel the color should be the major factor for determining a purchase versus being based on the presence of one or two elements. 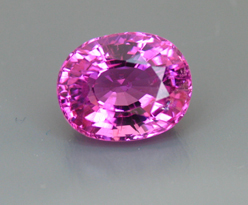 There is no need to pay for something that you can not visually see. 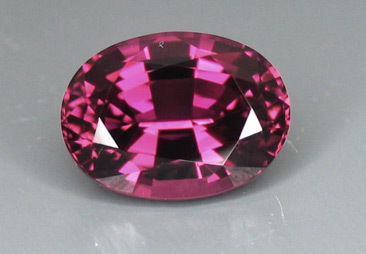 We purchased a few of these extraordinary colored tourmaline and chose the best that was available. 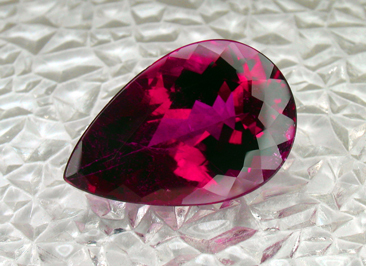 This material, like many of the other fine colors of Mozambique Tourmaline have inclusions, so one must attempt to find those that are mostly clean, but the material really doesn't come entirely clean unless in smaller sizes - when in smaller sizes, the color is not as saturated. 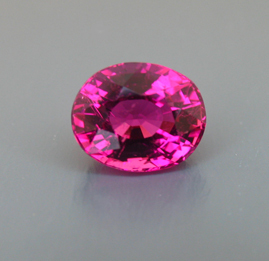 We have not wanted to offer this material for the time being, because a well known company on the West Coast is wholesaling material for FIVE times what we are offering it to the public. 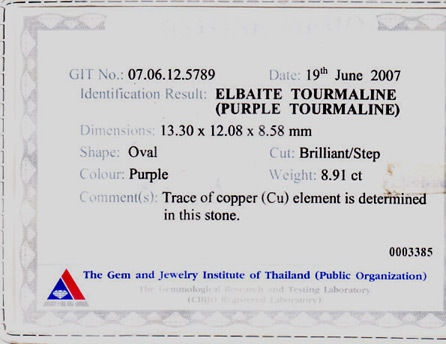 It is unknown where this material is going in price, but those in Thailand have indicated they are going to stop selling their existing inventories because the supply is drying up and prices have been climbling rapidly. 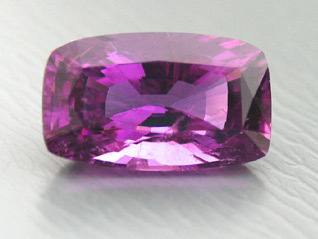 We are believed to have the Most Purple Tourmalines as well as some of the the Finest Available! 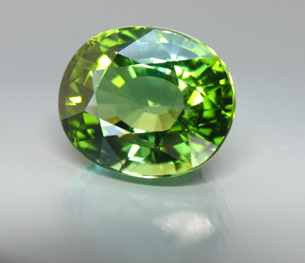 "I have never seen such a selection as yours... the tourmaline you have is amazing. 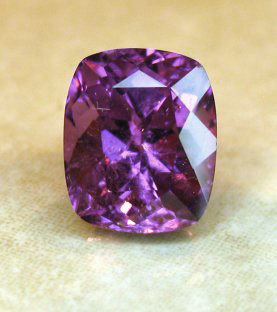 If I was rich I would buy it all! 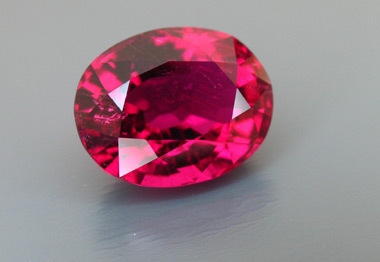 ...do you ever come to Texas?" 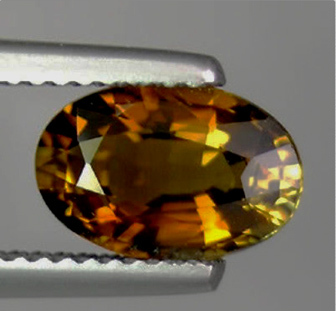 "Wow, Now thats some cuttin'! 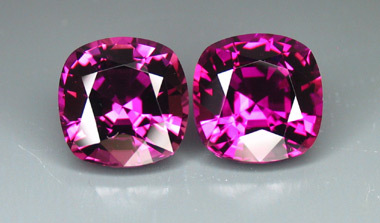 Thanks.."
"Thanks again for showing them to me and for offering them at a good price. 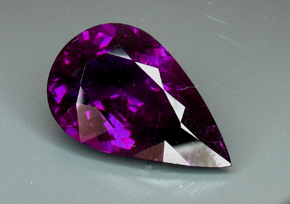 I would not blame you, if you decide not to sell them, since the supply does seem to have dwindled." 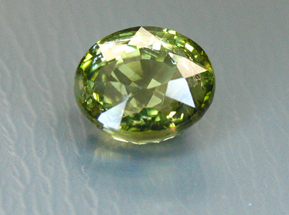 "I got the stone.... Its very beautiful - a keeper. 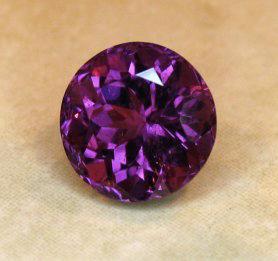 Thank you!" 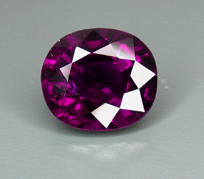 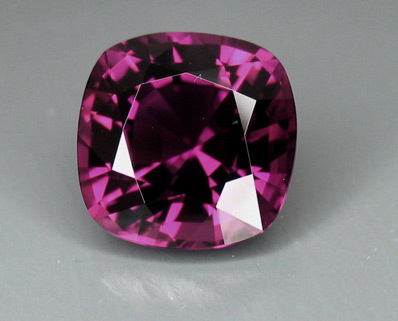 "The purple tourmalines are indeed beautiful, and an interesting story to those in the know. 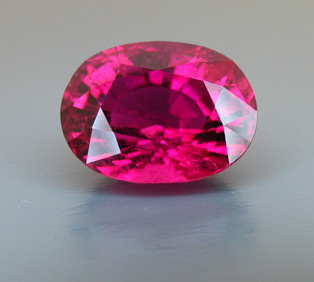 The fact that treatment to change colors to a parariba tourmaline to increase value still tilts me the wrong way, especially when that "fear" is enough to raise the price of the untreated gems as well. 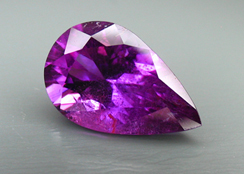 They are indeed beautiful, rare and with time may not need parariba look alike via heating to raise the vaue of the beautiful purple that is natural..!"